Brethren, praise God. I heard someone say that it was a convention that we were coming to. I knew according to the way the Spirit has been dealing with me that it’s not a convention. That God has called a certain people together to do a special work in us and this is what we are here for. I am sure that by the time we are halfway through everybody will understand what has happened. The Lord has been telling me exactly what to say and I think I want to just say this exactly as the Lord wants me to say this. We are not ready to go into the message, or into the Word. I think that this session is just going to be involved with getting ourselves ready. First of all we need a deliverance. It is not I am going to deliver you, or you will deliver me. We need a deliverance. God is about to take us out of the human realm entirely. You know, I have seen the dead raised. I have seen mighty miracles done, but every time these miracles would occur I would feel worse, because I knew I did not have what it took to do those miracles. There was this yearning and this longing and this crying in my soul. I would see other men get boastful, you know and take charge. I would feel, you know, put down, humbled before God for I knew what Jesus is and I knew that I wasn’t anywhere near it and I knew that there was nothing that I could do that would bring me near it. I would fast and pray many, many days and many nights. When I fasted I would get a lift, a boost, but something was there. Glory to God in heaven. You know I am seeing the barrier. There was a barrier there, that it became almost useless trying. I don’t know if I am expressing your feelings. It became useless for me to even try to be, to get beyond that barrier. Somehow it seemed that God was holding us down. Isn’t that peculiar? It seemed that God was holding us down, because the carnal physical needs and the yearnings of the natural man were so much with us that you could find that there was no way to get up there. Amen. Then like maybe a month ago, just after we came back from Africa, God began to speak a different Word. It was no longer that we were going to get where the barrier was no longer there. God was saying that now there was now a new way opened up and that we were about ready to go in. God was about ready to put us in to this place. That we were not going to go in there because we were good, because we were nice kids, or anything like that. The things that we valued in the past, you understand, like fasting and praying, dedication and then we said we were holy because we did so and so, we said our prayers three times and whatever else. All that pass away and God is saying that He is going to take us by the scruff of our necks and He is going to put us into this place. It is not because of us, but it is because the time is now and He is ready. He has already marked the people who He is going to put there. God wants us right now to begin to look at ourselves. Just go back to the basics. Do you have anything against anybody? Can you think now, just think of anybody that you are not free with. That is you would see the person coming in here, you would wish you could go through the other door. You just don’t want to face them, face that person. If you can think of anyone in this world, I am not talking about Christians. Whether Christian or sinner, anyone in this world that you have that kind of feeling towards, then God is saying that before you can hear…because the Word is going to be delivered and some are not going to hear it. Do you understand? Some people have been prevented from coming here, prevented by the enemy because the devil had the come on to stop them. Amen. Yes. Some could not come here because they could not hear. If they heard this they would take it and make something else of it apart. I don’t know if you are hearing, if you are understanding what I am saying? I have seen messages go forth that should have lifted people out of their darkness and instead of lifting them it pushed them further down because they took the Word a different way. So God is saying, if there is anybody who you can think that you have anything against, He said, “Before you bring your gift to the altar…” (Mt 5:23-24) Before your ears get cleaned out from the wax that has accumulated in the spiritual ears, God says that we are going to have to lay that down before God and get that clearance and that loosing. Then the next step is, He said to me, “If there is anyone who you believe or you doubt that they have something against you…” Now you don’t have anything against that person, but you just have a feeling that that person has something against you. Or you have the feeling that it is possible that person might have something against you. That you have to come before the throne of God and you have to lay that down before the throne of God. I’ll tell you why. The reason is that there is, we are at the time when the body of Christ is about to enter in through the vail. Now all my life I have had one, only one desire in God. That is the time when I will hear the Word in my spirit that will loose me from this natural carnal person and put me into that fullness. Now it is crazy for people to be talking about perfection, isn’t that so, and to be talking about fullness in such a manner. But this is where we are. This is where the church is and some people are going to go in who you never thought would make it and some of the people we think are going to make it are not going to make it. Amen. Because we are not going to make it because of any of our abilities. Glory to God. But because of our humility before God and our obedience to the Word that the Lord God is bringing in our midst. Hallelujah. The negative side of it is that the Bible says, “When you shall see the abomination of desolation spoken of by Daniel standing in the holy place,” He said, “Flee.” (Mt 24:15-16) Now remember, all our preaching in the past has been to be preaching to you to get you into the holy place. Do you remember that? We have been preaching to go into the holy place. God is telling us now that we must get out of this. Don’t you understand what I am saying? It is a point of time more than a point of achievement. It is not that we haven’t achieved anything. We have not come into anything more than what the other Christians have come in to. But we have come to the point in time when God must select and push in. O Glory to God. Amen. Glory. Praise His holy name. Let me show you something here. Turn to 1st Corinthians, Chapter 13 and you look at the 8th verse. That is time is going to make all prophets be cancelled, written over the prophets “cancelled”. Hallelujah. Amen. The knowledge that we have now will be nothing but foolishness compared to what God is pointing us to. Amen. No prophet, no word of knowledge has ever been full or complete. It has always been in part. Meaning to say that God is bringing that which is perfect to a people and that which is perfect will make the people perfect. Take out the word perfect, put complete. That which is complete will make us complete. In other words we are part-way people. I never forgot when one day I was in the restroom praying as I generally do when everybody is gone out of the office at lunchtime. I would take my lunchtime to go into the restroom to pray knowing that nobody is going to bother me. Hallelujah. God spoke in an audible voice and He used the phrase like an Englishman. I felt bad how God was in the congregation blessing them and these people are against me, cursing me. Then I realized that there were some half-way people that God had and that God loved them. Not loving their half-wayishness, but loving them because they were His people although they were half-way. Amen. Now the part-way prophets that we are, the part-way evangelists that we are, the part-way shepherds that we are, the part-way apostles that we are, the part-way teachers that we are – all will be done away with when the fullness of Christ comes within you, we will all be above the place of the apostle, above the prophet. Do you understand? You know the watchmen on the wall, I remember reading something from Branham many years ago way down in the fifties. Branham was looking over the heads of everybody. He was a watchman on a wall that was higher than any other wall of anybody else around that area at that time. He spoke some things that we could not accept. There was no way that we could have believed it or accepted it, because he saw the antichrist. Do you hear me? He saw the antichrist, he saw the prophets to the antichrist, he saw the beast and he identified them and he talked it through his mouth. You know you look at a nice brother like this and he says it is antichrist. It was out of order as far as we were concerned, but it was way above the heads of everybody else. Today it is shocking to know who are the people that are siding with antichrist in our time. The Bible says, “At this time when you shall see this abomination come into the holy place,” it says, “it is time for you to get out of the holy place.” God is taking you out of the holy place. Holy place is: prophet; apostle; bishop; pastor; all these things. These things some people are now fighting for, you ought to be looking to get out of it. Hallelujah. Don’t you understand? People are organizing churches. God is taking away the gifts. You are up against the golden altar where God is asking you to give up everything. Give up your gift. We will all be prophets. We are not having any more pastors, any more ministers as such. The body is coming into ministry. Amen. Don’t you understand? Amen. So instead of us looking backwards, let’s begin to look forward now. All the divisions that are among us: the divisions of man and woman; the divisions of black and white; the divisions of this and that; all put away. Let us begin to look to a higher thing. Let us repent of ever looking back to that which is lower than that which we should be looking forward to. In other words, we need first of all, to take our relationships one with another, you see. Because the devil tells us that our brother and sister are our enemies. Did you hear me? If you talk something against me you are not my enemy and I know it. I know that if the devil gets you to talk the worst thing about me, it doesn’t do anything to me. It comes off my back like water off a duck’s back, because I know you are not my enemy, I know my enemy. Do you understand me? So if I hear that you say anything about me it doesn’t make any difference to me. I only will pray a little harder for you, for I know that the devil got you. Do you understand? Can you see it like that? If you can see it like that we want it to be applied in this meeting before we start going to deep Words, because deep words will just fall off of you like water from duck’s back. You will not be able to retain what God is about to give to us in this conference. Because God has begun to whisper to me and I do not know the fullness of it. I do not understand what is going to come out, but I know something is going to happen. That a foundation will be laid for us to go right into the holiest of all. I am no longer afraid to say it. Do you understand? We have heard it. We have heard it many times, but somehow or the other the way to go in we have not seen. The only way we can see the way to go in is if your hearts are pure. Do you hear me? The hearts of the people of God have to be sanctified. Satan has tied us up by telling us that our brethren are our enemies. All that is down there. Listen to this one! Do you hear me? God is talking to us now about the putting away and the maturity and I believe we can be mature in a moment if we believe. I don’t believe years mature us. I have seen little ones get up in the meeting and confound all the elders. Yes sir, the Spirit of God moved upon the child and confounded all the elders. So I am not one who believes that to be mature you have to be older. I don’t believe that to be mature you have to be 20, 30, 40 years in God. No, no, no. God said, “a nation shall be born in a day”. (Is 66:8) “A nation shall be born in a day.” People are going to be shocked by God and remade and recreated. 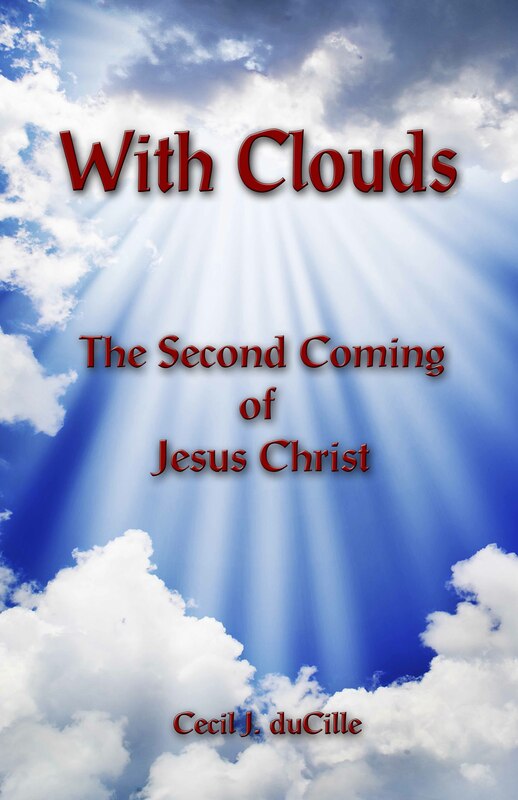 A new creation man is going to come forth “in a moment, in the twinkling of an eye”. (1Co 15:52) Amen. You heard that, “in a moment, in the twinkling of an eye”. You and I could never make it in a thousand years. “In a moment, in the twinkling of an eye” we are going to believe God, that God is going to anoint this people and this church with power to minister that nobody has ever seen or heard before. You know I hear many preachers talking about a revival coming. Sometimes when I hear them talking about the revival I say, “Poor thing.” To me they are like little children talking, do you know why? They are teaching about the old time revival, where they are going to build churches and they are going to have thousands of people rushing into the church. Let me tell you brethren, what I see as a revival is that the church will be in the streets and the fields and the farms and everywhere. The power of God is going to be let loose, so that everywhere, everywhere where men are they will be calling upon the name of the Lord and “salvation will be in Zion”. (Is 46:13) Hallelujah. You know when a man believes he is seeing clearly, it is difficult to convince him that he is seeing darkly, because he has no idea of what clear seeing is. Amen. Do you hear me? He doesn’t understand what seeing clearly means. So when you talk about seeing through a glass darkly it is difficult to convince some people that they are not seeing. I wonder if you understand what it is saying? The Spirit of God look down on you and He sees you and He knows you and He knows an entirely different person than you know. You don’t know you. God knows you and the Spirit of God looks at you, He knows you more than you know yourself. God says that you are going to know you and know your brother as He knows you. Now can you understand that? So this is where the church is. This is what we ought to do. I cannot break the message to us until we have a time of cleansing and deliverance before God. I have no idea of how we are going to go into that, but maybe somebody here has that move. Maybe the Lord is moving with somebody to lead us into a real soul searching time. We should first think of the people who we have something against. Then we think of the people who have something against us. I want us to go find him in the spirit now, whether they be here or not here. Somebody here, you were robbed and hurt by somebody in the world and you have a tinge in your heart for that person. You could not bring that person to Jesus Christ because, you have to get rid of that now. All that garbage, you know I see it as garbage, being thrown into a garbage bin. We want all that garbage to be put down before Jesus Christ and for you to give it up. Somebody owes you money and somebody doesn’t pay you, I want you to give it up right now before God. Hallelujah. Amen. I will sit down. Praise God. Sister Mavis duCille: I feel that I should share an experience that I had with the Lord yesterday or the day before, I don’t know, but it is either yesterday or the day before. In my spirit He made it clear to me that it is not the scripture that says, “It is the last days.” But “It is the last time.” So I took my Bible and decided to look this up to see what the difference was, in the “last days” or the “last time”. Then I discovered that the “last days” could refer, would be the 1/3 of time from Jesus came to the end of time. There is a span of time like the last 2,000 years that could be referred to as the “last days”, you see, because it is days it says. So I looked for scripture and found the reference in 1st John where it says: “Little children, it is the last time:…” (1Jn 2:18) Then what came strongly to my spirit is 1st John, Chapter 2. I started reading from verse 15, “Love not the world…” and so on. Then in verse 16 it tells about “the lust of the flesh, and the lust of the eyes, and the pride of life…” Then I remembered that that is what affected Eve and the authority and the dominion was lost. So if we want authority and dominion to be restored we have to get rid of those things that affected Eve in the garden that caused her to disobey and the loss of the dominion and the authority. That is what the Lord wants to restore to us. It tells of the world and the love of the world and everything and all of that will pass away. There is only one thing that abides – what is in God if we do the will of God. Then is comes down to verse 18. I think this was more prophetic, but it was manifested at that time to a lesser degree than it is at this time. What the Spirit brought very strongly to me as I read it, is the antichrist and it is the spirit of the antichrist that is manifested, was manifested, is manifested and shall be manifested. It was among the twelve. It was worked in the twelve and caused Judas to do the wrong thing, though he was among the twelve. Because he had not gotten rid of the spirit of the world, the things of the world, the flesh, the lust of the eye and so on. Because if we know the history of all of that we see how he was always going after the money. He was saying things that were contrary to holiness, to the spirit of righteousness, the Spirit of God. So we find the spirit of the antichrist will always be present among God’s people. We are to reject it and fight against it, because it causes separation, division, lust and things that are of the world. It will cause us to lose out with God and not find our place in what God is doing in this hour. So “it is the last time”. It is like our parents would call to us and say, “Now it is the last time that I am going to tell you this, or warn you in this direction. Then you will have to face the consequences after this. It is the last time.” God is warning us about that spirit of antichrist that we are to reject, look out for, reject from our own being and from us in general as the body of Christ, to have no part with it, because “it is the last time”. It will lead us away from that which God has ordained for us and put us in that place where we lose out with God. I don’t know how many of you saw Oral Roberts three days ago. It was about three days ago he had a new revelation. You know I was sitting on the edge of my seat really, listening to the revelation that he had. It was all good, but his interpretation of it was entirely off what God is saying to the church now. Then a peculiar thing happened. Sister Roberts got up after to give her impression and she corrected him. It was so gentle that you wouldn’t have noticed it. Do you know what she said? Knowing her words, the body is going to have the fire coming out of their hands, not a one man. We have no hope if we believe in the one man thing. Listen brethren, let me tell you what I see. The ministry is fading away. Mighty men, one man prophet is fading away. One man miracle worker is fading away. God couldn’t be phasing this thing out for nothing. He is phasing it out because He said, “apostle, prophet, evangelist, shepherd, teacher must minister to the body till the body ministers.” (Eph 4:11-13) So the real minister is the body. In other words, God wants the power to come out through the body, otherwise my preaching is in vain, I wasted my forty years. If I don’t see the power and glory of God come forth in a people; if I don’t see forgiveness with love, (the fruit of the Spirit is love), coming forth in a people; we don’t have any hope. I mean we have wasted our lives, our whole lives wasted. The love of God must begin to come forth in a people and I don’t decry the trouble that we are having. I feel that they are a welcome help, because if these things don’t come you won’t find out that you didn’t love your brother. When you find out that you didn’t love your brother you must repent. You wouldn’t find out that it wasn’t the voice of God that was speaking to you. When you find out that it wasn’t God, because if God said, “this chair was going to move tomorrow to that position” and it doesn’t move, you might as well repent. That is a lesson. You see what I mean? Because if God said so, it is going to move regardless of anything else. So we need to be of a repentant heart, to be looking around for something to repent for. Do you hear me? Amen.